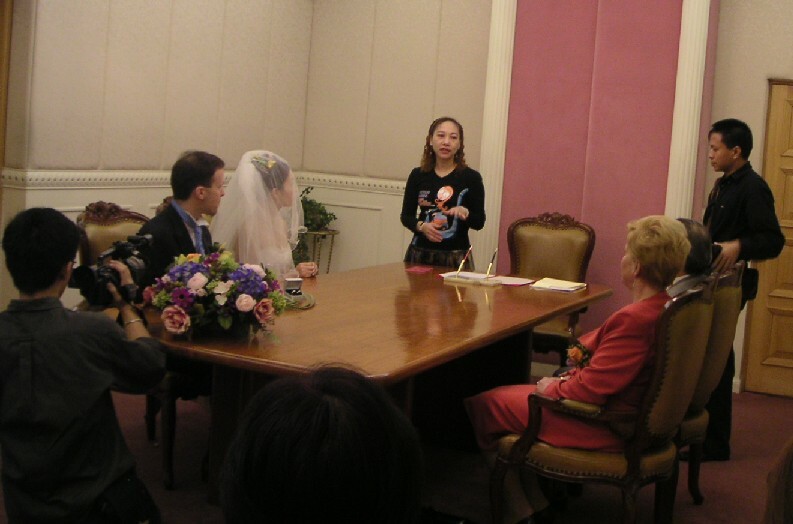 The wedding took place at two times in two different places. In the morning there was an official ceremony, with an outdoor session for pictures of the couple by themselves and with all the guests. Then in the evening there was the reception with the dinner. 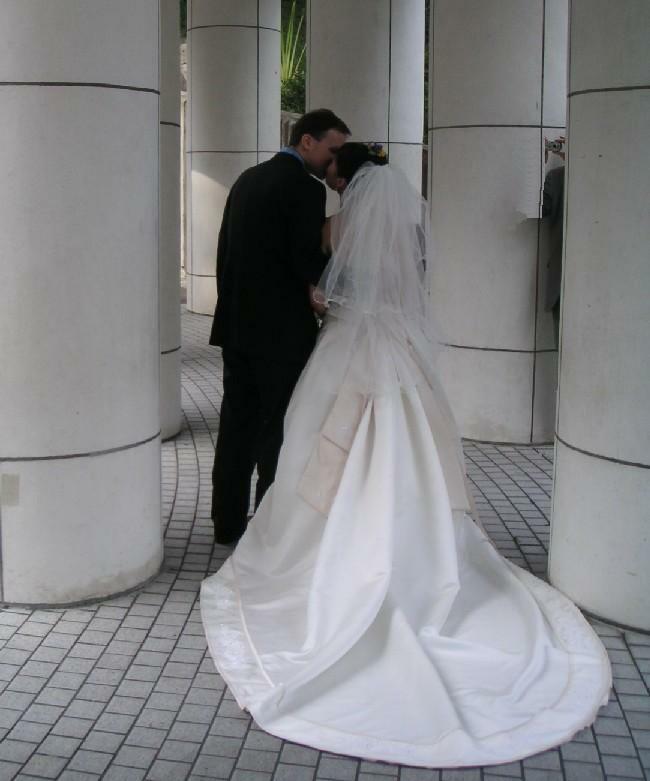 The ceremony took place in a small office in the middle of a beautiful park in downtown Hong Kong. For the clerk, it was just another day at the office, as you can see from her casual dress. Fortunately, the ceremony was lead by someone else, the gentleman behind the photographer in the middle. He did dress up for the occasion! 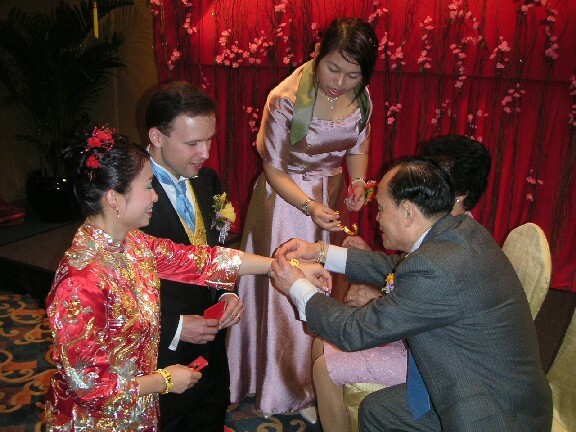 Before dinner, the newlywed couple was receiving the guests. 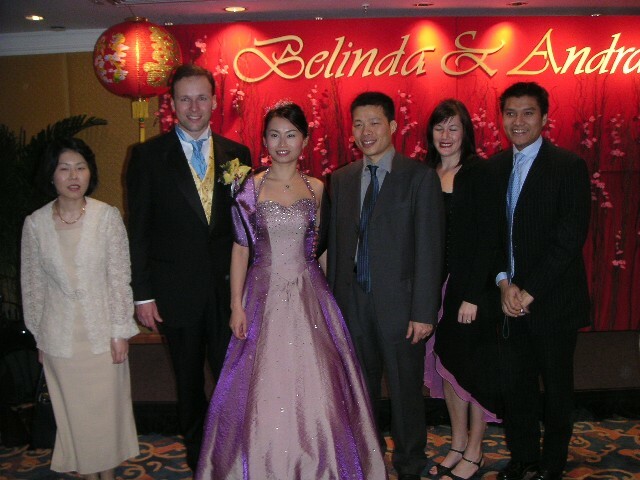 Here Belinda was wearing a beautiful red-gold traditional dress. The relatives would bring them gifts, and they would go through a ceremony, shown below, where they would seat the guests on two chairs, and Belinda and Andras would kneel in front of them and serve them tea. Then the guests would present them with their gifts. 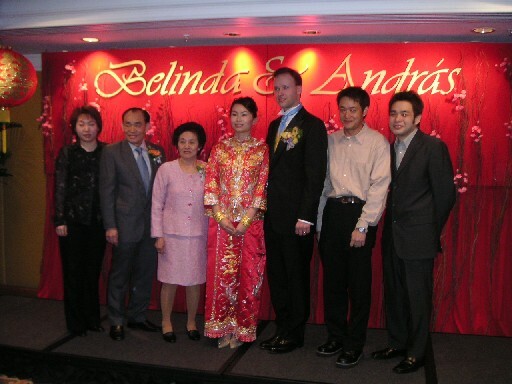 Pictures were taken with many different groups of people, here the happy couple is posing with some of Belinda's relatives. Shortly before dinner Belinda changed into a more Western dress. Here Belinda and Andras are posing with some friends who all flew in from Japan. 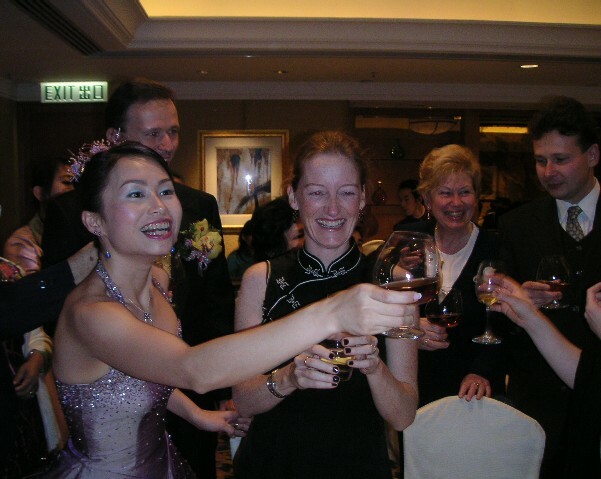 During the dinner, the newlyweds came around to each table to drink and laugh with us.